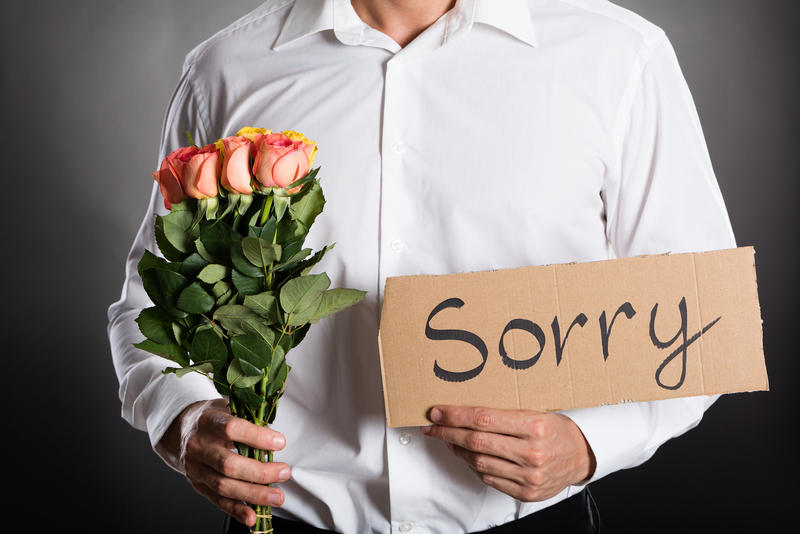 Apologies have been in the news a lot lately — both genuine apologies and refusals to apologize. Every day, women and men come forward to name those who sexually harassed them. Then we wait to see if the accused will apologize — or refuse. A national conversation about sexual harassment and assault has been a long time coming. This conversation is vital, and we should all pay attention to and participate in it. But this can also be a teaching moment when it comes to apologies, because the dos and don’ts of a genuine apology aren’t discussed enough. It’s no wonder so many of those who should be apologizing right now don’t know how to. Most of us were taught to say “I’m sorry” when we were children. We cut in front of another kid in line for the playground slide, and an adult would intervene and tell us to “say you’re sorry.” This worked for a while, and then we grew up, and apologizing became a gendered thing. It’s often thought that women apologize more than men. Most women I know have even reflexively apologized to inanimate objects they’ve walked into on the street (I’m guilty of this, sorry to say.) But studies on apologies show something more complicated than just the fact that women do it more often than men. Of course, there are women who are bad at apologizing. Some women can be cruel, especially to one another. They may apologize for small offenses in the moment, but wait years to acknowledge that they’ve hurt someone deeply. I’m a marriage and family therapist with a practice in Los Angeles, and many of my clients have been seeking an apology from — or refusing to apologize to — another family member for decades. DO say you’re sorry when you think you’ve done something wrong. Sounds pretty obvious, right? But it’s surprisingly common for us to know we’ve hurt someone and still not consider apologizing. Often, it’s because we don’t know how. DON’T say you’re sorry if you don’t think you have anything to apologize for. That doesn’t mean you don’t have something to apologize for; it just means that a real apology is sincere. If you don’t think you’ve done anything wrong, but you know that the other party does, spend some time considering why they feel that way. Try to put yourself in their shoes. Have empathy for their experience. See them as a real, whole individual with needs and rights of their own. Does that change your mind about making an apology?